KUCHING: United People’s Party (UPP) hopes that the top leaders in Barisan Nasional (BN) will pick some of its proposed candidates to represent the coalition in the coming 14th general election (GE14). Its president Dato Sri Wong Soon Koh said both Chief Minister Datuk Patinggi Abang Johari Tun Openg and Prime Minister Datuk Seri Najib Tun Razak had been informed of the party’s intention to contest under BN ticket in GE14. “I have seen the Chief Minister sometime ago and I have recently seen the Prime Minister. I leave the decision to the top leaders of BN. “And let’s not argue over who are the candidates and who are the winnable candidates,” he told reporters after launching the GDEX E-Commerce Hub and Linehaul at Batu Kitang here yesterday. Wong, who is also Second Minister of Finance, said as far as UPP was concerned, its proposed candidates and members were already on the ground, working very hard and serving the people. “We are hoping that our proposed candidates can be recognised by the leaders of BN as more winnable. “For now, we leave the decision to our Chief Minister and to our Prime Minister,” he reiterated. Wong, however, declined to reveal which parliamentary seats they were eyeing. 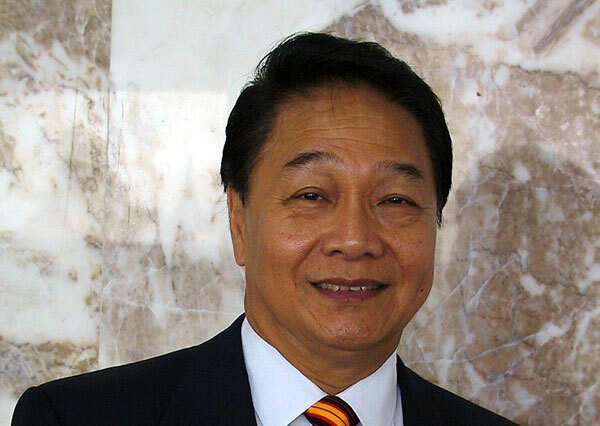 However, political pundits believe that UPP are eyeing some of the seats that are traditionally allocated to Sarawak United People’s Party (SUPP), especially the Chinese-majority seats. The seats traditionally allocated to SUPP are Kuching, Sibu, Stampin, Miri, Sarikei, Lanang and Serian. Except for Serian, which was won through Datuk Seri Richard Riot, SUPP lost all the seats it contested during the 2013 general election. UPP is considered as one of the latest political parties in Sarawak. Established in 2014, the party is pro-BN. UPP is the offshoot of Sarawak United People’s Party (SUPP), formed following the unresolved infighting between the party leaders.